With a rustic Smoky Mountain cabin appearance on the outside, "Above The Clouds" is decorated in cozy, country-style with all the comforts of home and lots more inside! 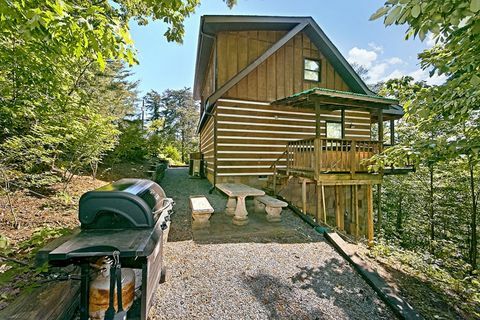 Bring the family to this unforgettable rustic cabin rental in the Smoky Mountains for one of the most memorable and affordable family vacations. 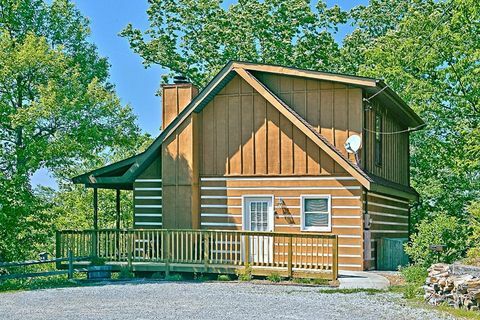 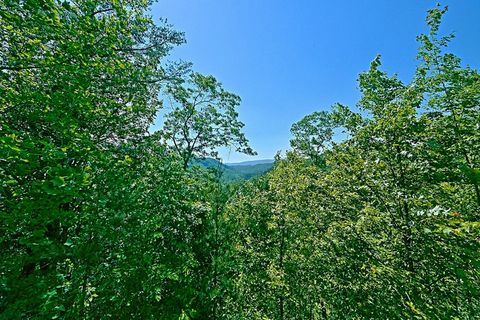 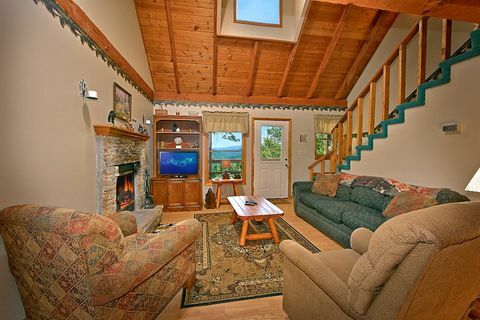 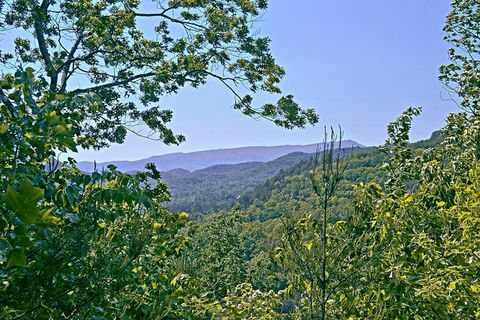 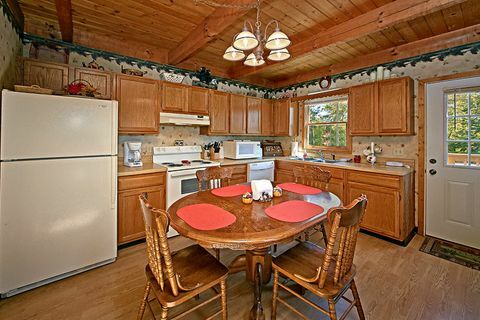 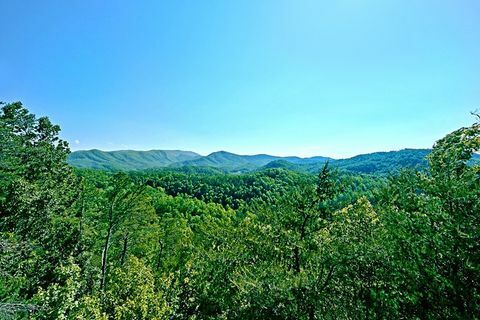 This 2-bedroom cabin rental in the Smoky Mountains sleeps up to 5 guests comfortably and is nestled in a wooded setting that provides easy access to either action packed Pigeon Forge or Gatlinburg and the attractions each city holds. 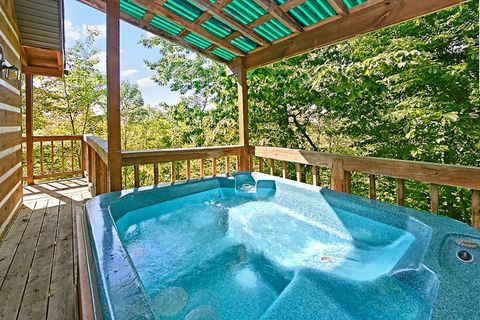 Your family will enjoy relaxing on the wrap-around porch with rockers and a covered family-size hot tub, offering a space to enjoy the scenic splendor that surrounds this cabin year-round. 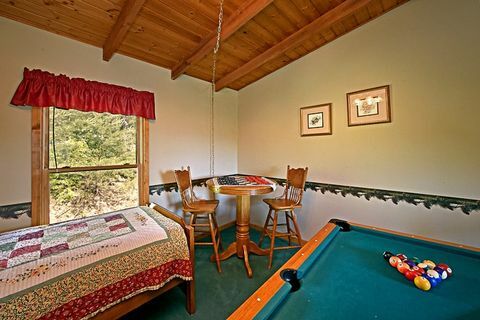 Additionally, your cabin has its own private picnic area for a great opportunity for the family to share stories around the picnic table. 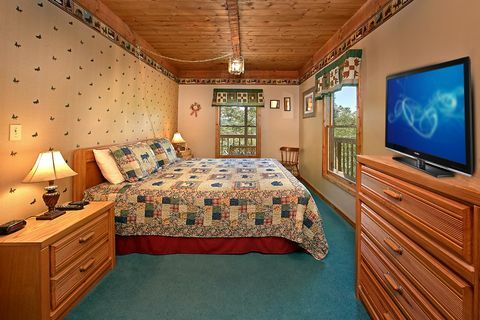 "Above The Clouds" contains a master king bedroom, queen bedroom, and a twin bed in the loft for ample space to sleep every guest. 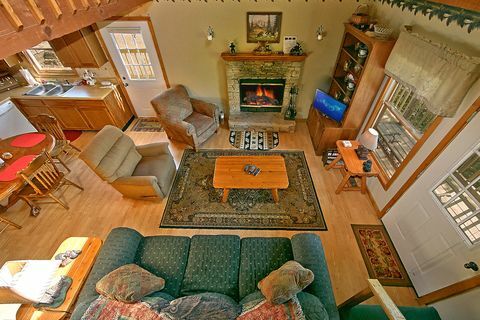 The wood-burning fireplace adds to the rustic appeal while the cabin's fully equipped kitchen and outdoor gas grill allows the chef in the family to prepare everything from snacks to family meals on your own vacation schedule. 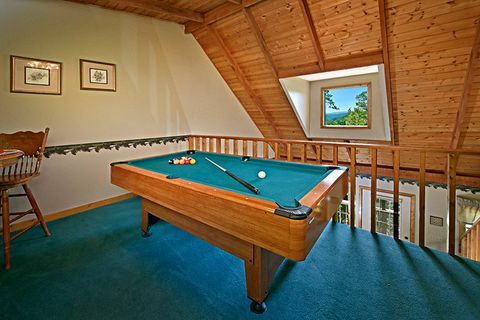 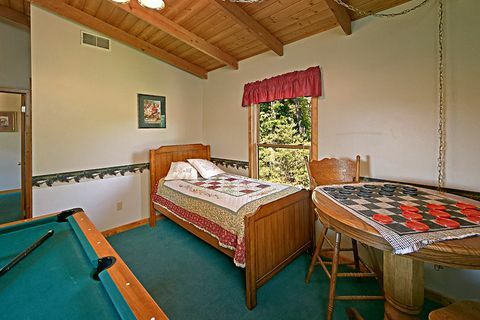 The children can keep entertained with games of pool in the loft between events. 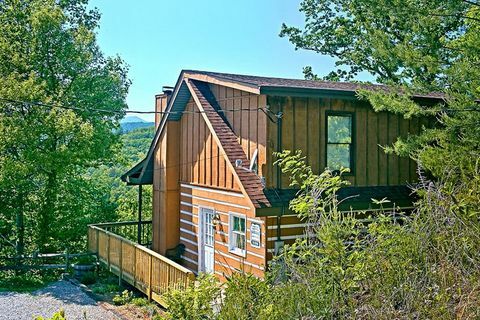 No need to pack heavy – this rustic cabin rental in the Smoky Mountains has a washer-dryer for convenience. 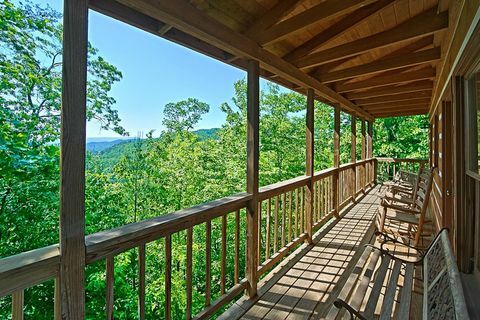 Step away from the everyday vacation and experience a memorable rustic Smoky Mountain cabin vacation. 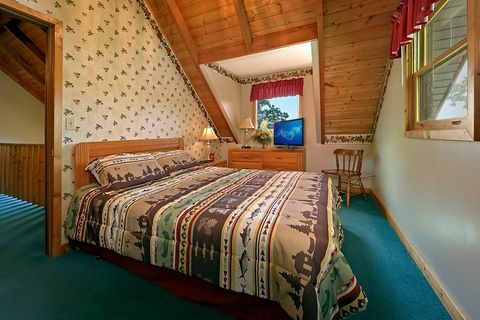 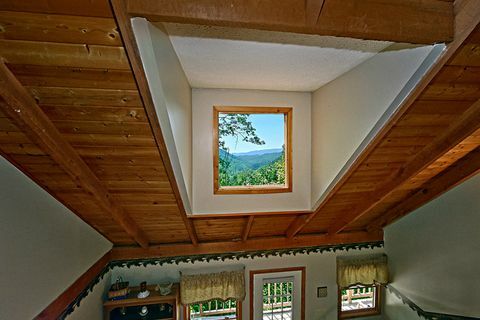 Book "Above the Clouds" or one of our other cabin rentals in Pigeon Forge online with Cabins USA and get an immediate Online Cabin Special discount!